පසුගිය වයඹ පළාත් සභා මැතිවරණයට සතොස මුදල් අවභාවිත කිරීමේ චෝදනා යටතේ හිටපු අමාත්‍ය ජොන්ස්ටන් ප්‍රානාන්දු මහතා ඇතුළු සැකකරුවන් තිදෙනෙක් එම නඩුව අවසන් වන තෙක් රක්ෂිත බන්ධනාගාර ගත කිරීමට කුරුණෑගල මහාධිකරණ අද (03) නියෝග කළේය. අදාළ නඩුව කුරුණෑගල මහාධිකරණය හමුවේ අද (03) විභාගයට ගත් අවස්ථාවේදී මෙම නියෝගය නිකුත් කෙරුණි. මේ අනුව හිටපු අමාත්‍යවරයාට අමතරව හිටපු සතොස සභාපති නලීන් ප්‍රනාන්දු හා ජොන්ස්ටන් ප්‍රනාන්දු මහතාගේ පෞද්ගලික ලේකම්වරයෙක් වන මොහොමඩ් සකීර් යන අය මෙසේ රක්ෂිත බන්ධනාගාර ගත කිරිමට මහාධිකරණය නියෝග කළේය. 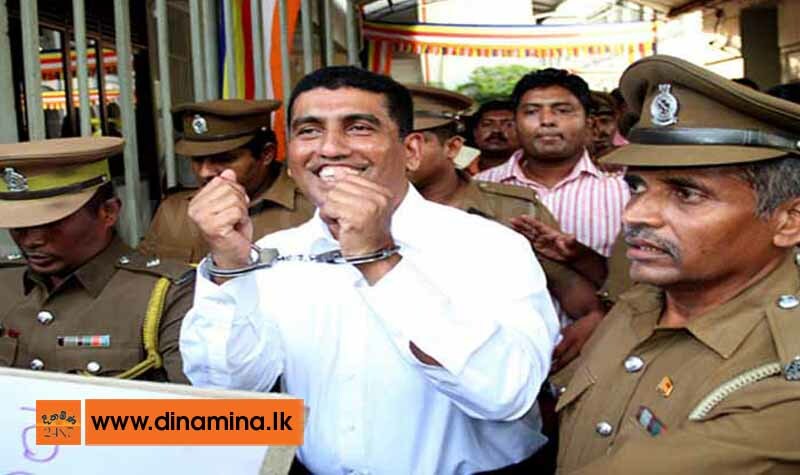 Are these politicians are having any self respect to behave like this by showing the handcuffs to the public with a smiling face. Damn shame, because there are henchman's who are coughs for them to cheer and shouts with slogans. The normal citizens in the country want breaks their day to day life and involves in to this kinds of stupid matters. Most of the politicians has no shame or the respect and they worse than the others who goes to prison, and their shame vain's have removed. One thing that the society categories criminals, thugs or the underworld are having self respect than these shameless politicians to admit the offence to obey the laws. Hopes that's the reason the present young or matured young generation doesn't like involved in politics or to comes politics. Its not clean and clear. Dirty Politics.